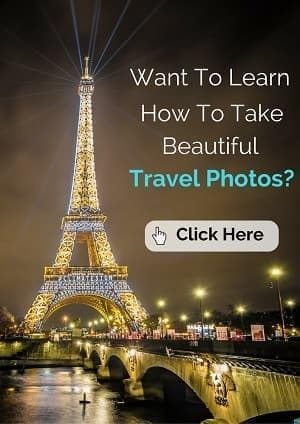 Looking for a unique travel accessory? I was really excited when I first heard about the indeegear luggage belt sleeves on Twitter, and am pleased to now have the opportunity to review these unique travel accessories. The sleeves provide an innovative and creative way to not only make your luggage stand out, but they can also serve as fun collectible souvenirs of your travels. The travel sleeves remind me of a fabulous mix between charm bracelets and those old-fashioned travel labels that are evocative of luxurious steam ship and train travel from the Golden Age of Travel. Adding these individually designed embroidered sleeves to your suitcase, camera case, laptop bag, or backpack is a great way to make a statement and express your individuality. Keep reading for our full review of indeegear luggage belt sleeves, an exclusive reader-only discount code, and even the chance to win a travel sleeve yourself! indeegear is a small company based in our current home state of California. They manufacture collectible travel luggage belt sleeves that are designed to fit over a luggage belt or any other type of belt or strap. 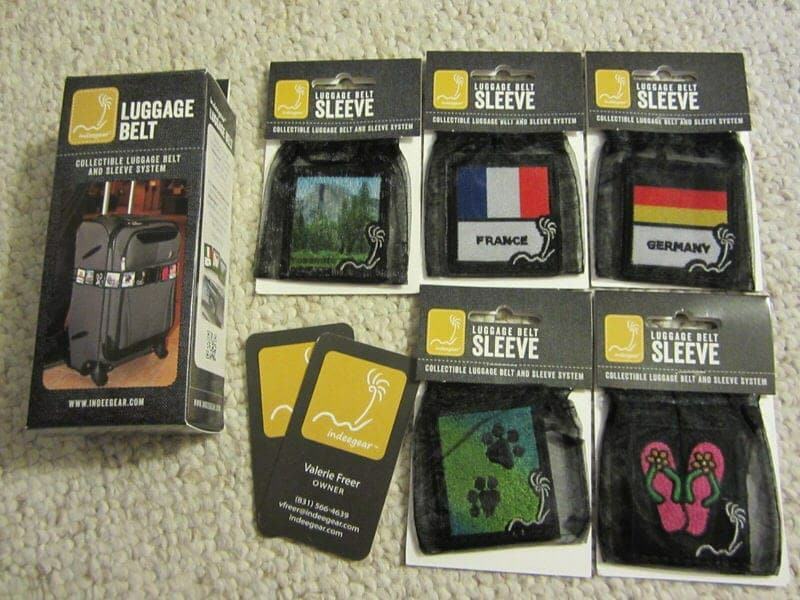 The idea for the indeegear travel sleeves came to Valerie Freer while she was traveling in 2010 with her family. She wanted a way to help better distinguish her luggage and an accessory that would make a statement and could be individualized. Two years later, she took a leap of faith and launched the indeegear travel product line. We are lucky to have had the opportunity to meet Valerie in person at the Bay Area Travel & Adventure Show. In addition to being a lovely person, it was very clear to us how passionate and dedicated she is about the quality and craftsmanship of the indeegear products. 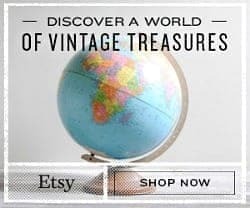 The front of each handcrafted luggage belt sleeve is embroidered while the back is made of a high quality stretch material to allow it to be slipped onto a luggage belt or any other strap that is 2 inches or less in width. Each of the sleeves are a little over 2 inches in width and are each manufactured in the United States. The majority of the sleeves were designed by local California artists (Selena Zontos and Rachel Nigh) and feature a unique artistic design. 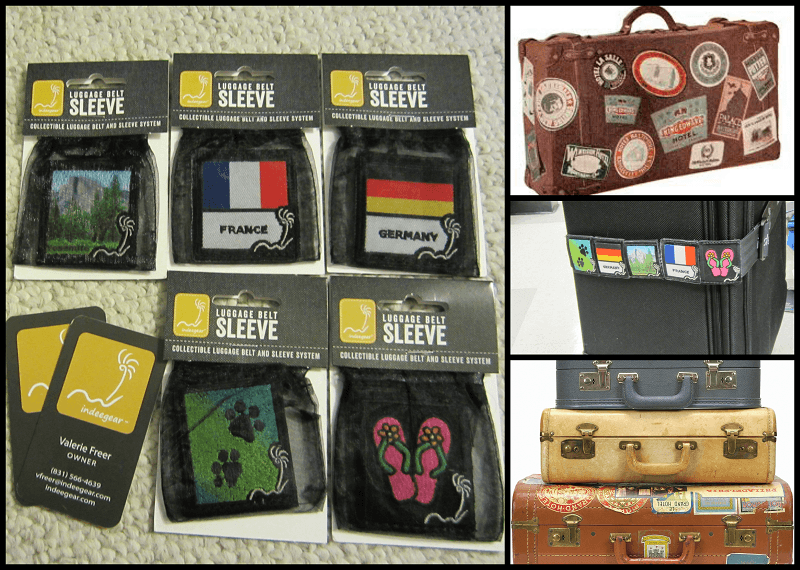 The ever-expanding collection includes travel sleeves representing specific countries (e.g., Argentina, Italy), states (e.g., California, Texas), hobbies (e.g., photography, fishing, travel, buying shoes), national parks (e.g., Yosemite National park), sports (e.g., surfing, golfing), and inspirational themes (e.g., peace, belief, inspire). Each sleeve is sold individually for $14.00. Interested in a custom sleeve for a specific destination, picture, sports team, or business logo? Just send indeegear a message for pricing (email: contactindee@indeegear.com)! 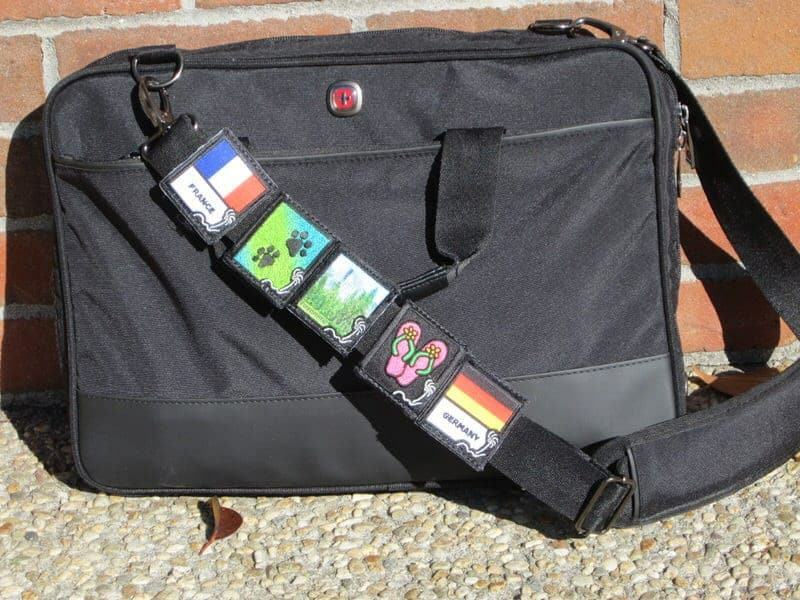 In addition to the luggage belt sleeves, indeegear also sells their own high quality luggage belts ($18.00) and luggage tags ($10.00), as well as TSA-approved travel locks. The indeegear luggage belt is uniquely designed with an “air lock buckle”,that can accommodate a TSA-approved lock. indeegear is a big supporter of charitable causes. Currently, if you purchase their Paws sleeve ($14.00) or the Paws sleeve + luggage belt package ($32.00), part of the purchase will be donated to The SPCA for Monterey County that will benefit a number of animals in need of adoption and treatment. If you purchase their Inspiration sleeve or the Inspiration sleeve + luggage belt package, part of the purchase will be donated to Vision for the Poor which helps low-income families in several countries receive needed eye care. In fact, Vision for the Poor is the same charity Ethan and I are supporting with our summer charity climb of Mount Kilimanjaro. To find out more information on indeegear, their products, and the artists who design the sleeves, visit the indeegear website. Valerie at indeegear generously provided us with 5 luggage belt sleeves (Yosemite National Park, France, Germany, Paws, and the pink beach flip-flops) and the indeegear luggage belt. Everything arrived well-packaged and the sleeves came in their own cute individual black organza bags that are perfect to reuse for jewelry. The sleeves fit quite snugly on the 2-inch luggage belt so you will need to use a bit of force, but don’t worry they are very well made and the backsides are stretchy. If you are using a different belt or strap that is less than 2 inches, they’ll probably slip on quite easily. 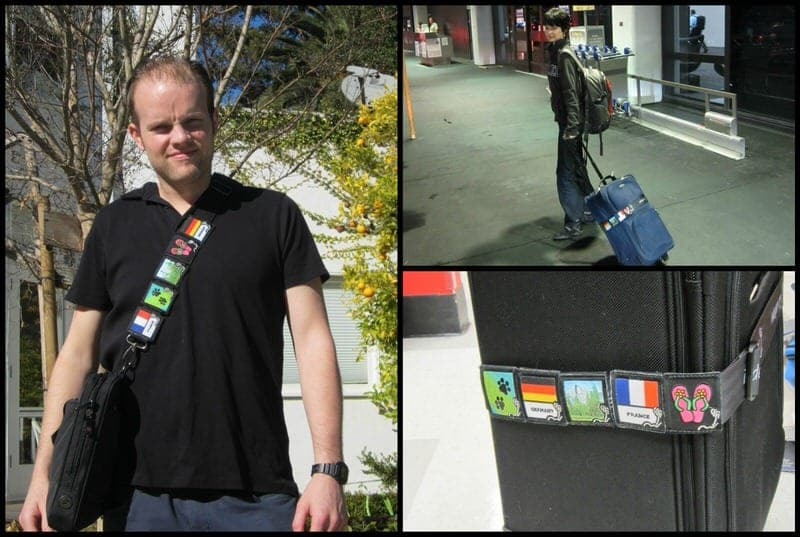 We really love our indeegear travel sleeves and luggage belt. Below are our top four reasons you might think about getting some for yourself! 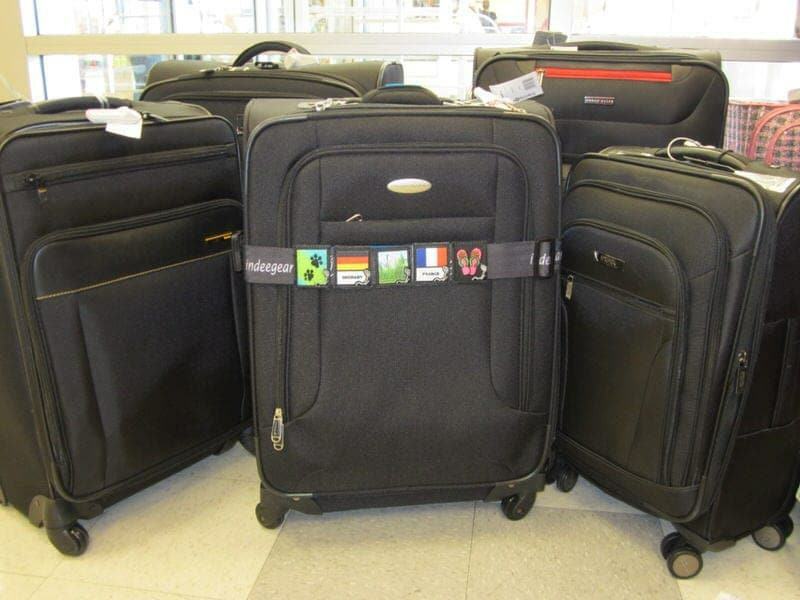 If you happen to have luggage of a common color (e.g., black, blue, gray), it can be hard to distinguish as it is coming around the luggage carousel or when you have to find it among a pile of other bags. We have always added swatches of bright yellow electrical tape to our bags to be able to better identify them (classy, right? 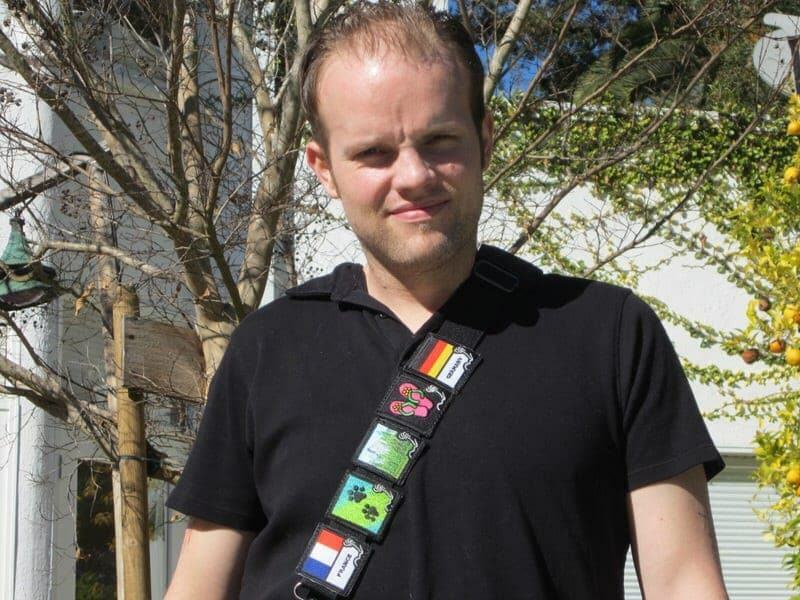 ), but indeegear provides a much more unique and sophisticated way to identify our bags. This can not only help save time and prevent confusion at baggage claim, but it also helps reduce the chances someone else might accidentally confuse your bag with their own bag and take off with your luggage! While primarily marketed for luggage belts, these awesome sleeves will slide onto any strap or belt that is 2 inches or less in diameter. So think luggage belts, camera bags, backpacks, laptop cases, messenger bags, etc. 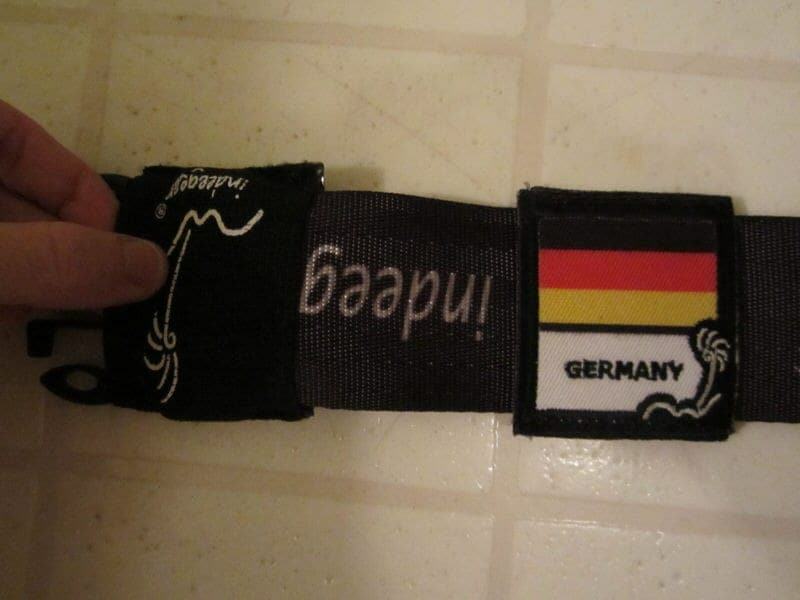 Heck, you could even put them on your belt and wear them around your waist if you were so inclined! If you’ve been reading this blog for a while, you probably know that I love to write about the history of travel, and the thing that first drew me to the travel sleeves is that they remind me of the old travel stamps people used to get on their steamer trunks and luggage. While travel labels and stamps are a thing of the past, we think these might be the modern-day equivalent. Ethan and I don’t buy a lot of souvenirs as we live in a tiny apartment and never seem to have any extra room in our luggage for many souvenirs, but we love to have some memories of all our trips, which is why indeegear is so great. They fit around our luggage without taking up any additional space and allow us to keep adding sleeves to the collection as our travels expand. The indeegear travel system also allows you to choose the sleeves that best represent you and your travels so you can make a statement and express your individuality. It is a great way to show other people where you’ve been and your special interests. On the two trips we’ve taken with the indeegear sleeves, several people commented on them as they are so unique. We just hope indeegear can keep up with all our travels in making new sleeves! You can check out the sleeve collections here. Finally, we love that indeegear manufactures their products within the country, supports charitable causes, and makes a point to be as environmentally friendly in their manufacturing and packaging as they can. We love that indeegear is donating some of their profits to organizations that benefit animals and in-need children! These are near and dear to our hearts as our cat Dash came from a local shelter and we are doing a charity climb for Vision for the Poor this summer. You can read more about the charitable causes that indeegear supports here. 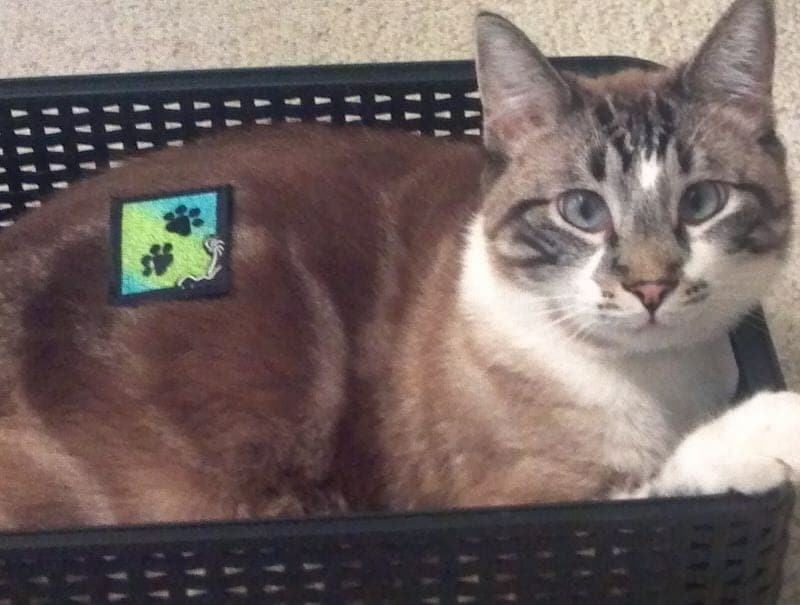 Dash was adopted at a local pet adoption agency so he thinks this is a very worthy cause! The Giveaway: Free indeegear sleeve! What do you think about the indeegear luggage belt sleeves? Is it a travel accessory on your wish list? Don’t forget to stop by and check out the indeegear website! These are fun – great idea! Thanks for linking up to the #SundayTraveler! Thanks Ashley, yes these are great, we’re really enjoying them on our travels! 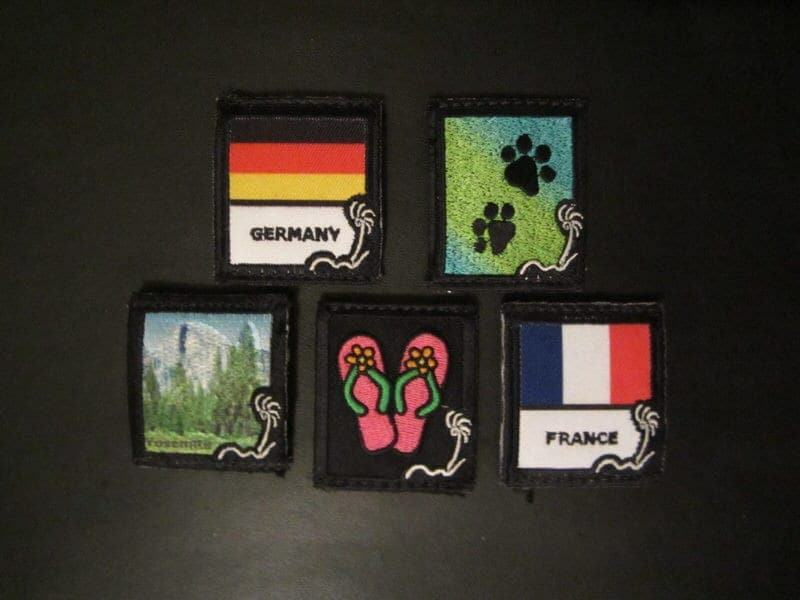 I know, I think the Paws one is actually my favorite even more than the travel ones:) Currently, the luggage belt and sleeves are with us in South Korea–we have gotten a few comments already about how people think they are really nice and unique! This kinda makes me wanna go out, get a travel belt and start collecting sleeves. I’m glad they ship internationally! Collecting the travel sleeves is fun! If you decide to order, just make sure you do so before the discount code expires! They’re really cute – great idea! Thanks Lauren, make sure to enter the giveaway! I love to support enterpreneurs as Valerie. I appreciate the fact that she is passionate about her product, that she cares about her customers, and she helps the local economy by designing & manufacturing her product locally. Beside, the product looks awesome! Do they ship internationally? Thanks for linking up to the #SundayTraveler. Hi Franks, yes we love supporting small businesses like indeegear and have featured several one- or two-person businesses on our blog so far. It was really great that we were able to arrange a meeting with Valerie as well in order to better to get to know her and her products. And yes, the giveaway includes free international shipping for those outside the U.S. and international shipping is available on all indeegear products. Hi Frank! 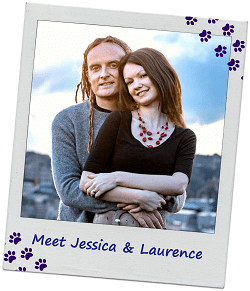 Jessica already responded, but we want to say HELLO and we’re glad you like what we’re doing! Wow, these are so cool! Wonder if they would fit on my backpack straps… I collect flag patches of the countries I have visited, but I can never be bothered sewing them on! I’m going to enter the giveaway right now! If your backpack straps come apart for you to slip them on and are 2 inches are less in width, they should definitely fit. The front of the sleeves are embroidered stiff patches but the backs are stretchy allowing them to slip on fairly easily. Good luck in the giveaway! What a cool idea! This looks much nicer than the duct tape I currently use to set my luggage apart from the crowd. I think my kids would also enjoy using these on some of their other bags. Hi Michiele! Yes, I have been using bright yellow electrical tape since my first trip to Paris at age 16. It gets the job done but is not very sophisticated looking;) These would be a lot of fun for kids I think to be able to collect them! I am hoping indeegear will keep introducing new countries as they now have all the U.S. states and are expanding their Countries collections. Hi Michele! We have fun seeing the creativity at the luggage carousel, and yes we did those things in the past too! 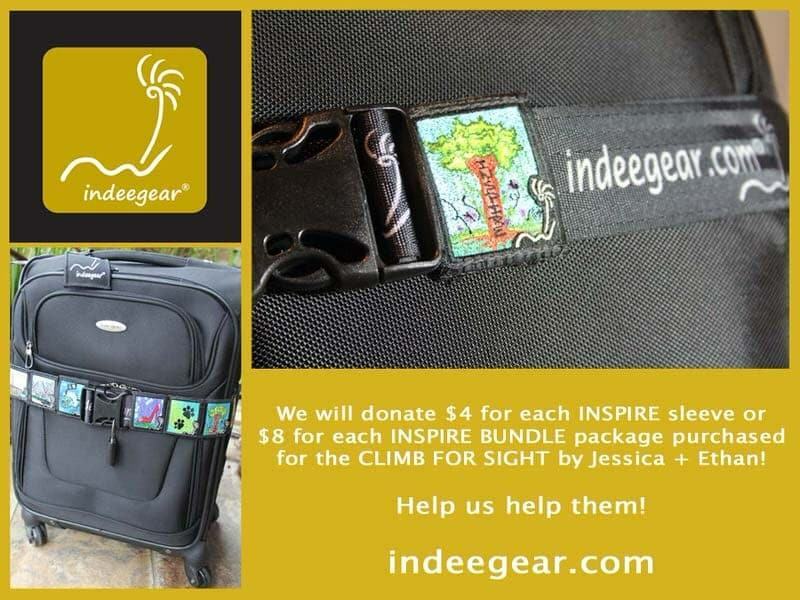 Thank you Jessica for letting Michele know that indeegear® will fit on bags and backpacks that have 2″ or a little wider because of the stretch. Have a great night! These are so nifty! 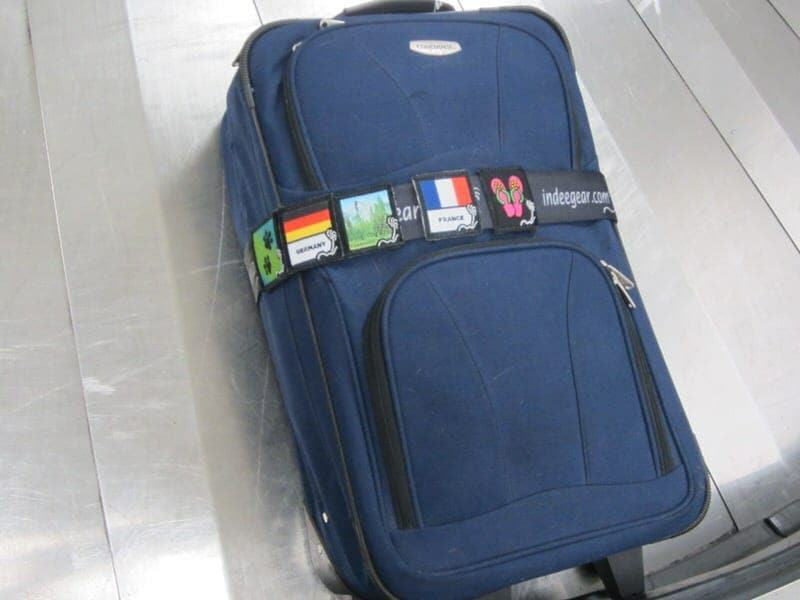 I love the idea of using these like people used to use stickers on their suitcases to show where they’ve been. I’m checking out the site to see all the designs. The designs are really great and there are so many of them, with new ones coming out all the time! Many of the designs were created by local California artists and are unique! Great for collecting. Glad you like the concept Meghan! Happy travels! Thanks Pam for stopping by! Yes, these are great for getting your suitcase or backpack to stand out at the airport or to just individualize it with the things you enjoy doing and places you enjoy visiting. I love the pics of your cats! So cute! Thanks Carsla for stopping by! Good luck in the giveaway! Yes, we love Dash & Dodger, our adorable kitties. 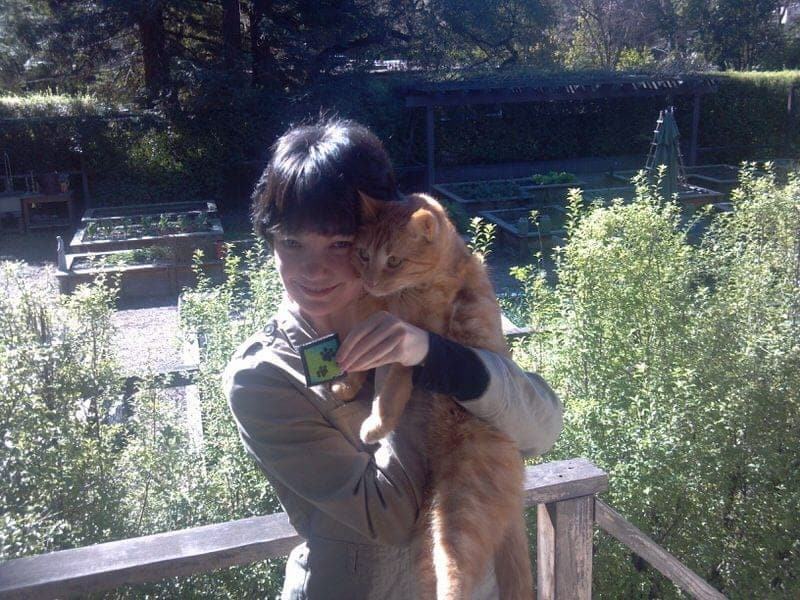 We love that indeegear helps support their local animal shelter. Is the contest open to people outside the states as well? Hi Erica, yes, we love these & indeed they would make great gifts for travelers! 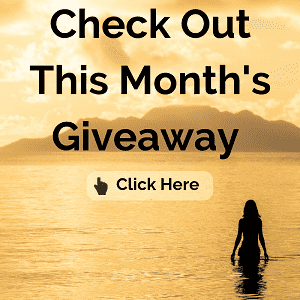 And, yes, the discount code and giveaway is open to everyone! Good luck Erica in the travel sleeve giveaway! Hi Erica! As Jessica let you know, the contest is open internationally. We think it is a fun gift too! Someone just bought for a bridal shower, great to get them ready for the honeymooners!